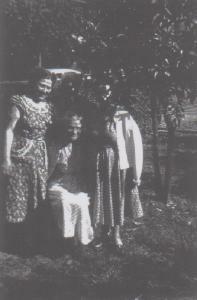 Arnott and Vederoff Ancestors - Esther Sakker Vederoff on left, Rachel "Ronya" Sakker Chernov on right. Esther and Ronya were sisters. Esther Sakker Vederoff on left, Rachel "Ronya" Sakker Chernov on right. Esther and Ronya were sisters.